Are you up for a home makeover? Get an idea for a modern style home in today’s ideabook! 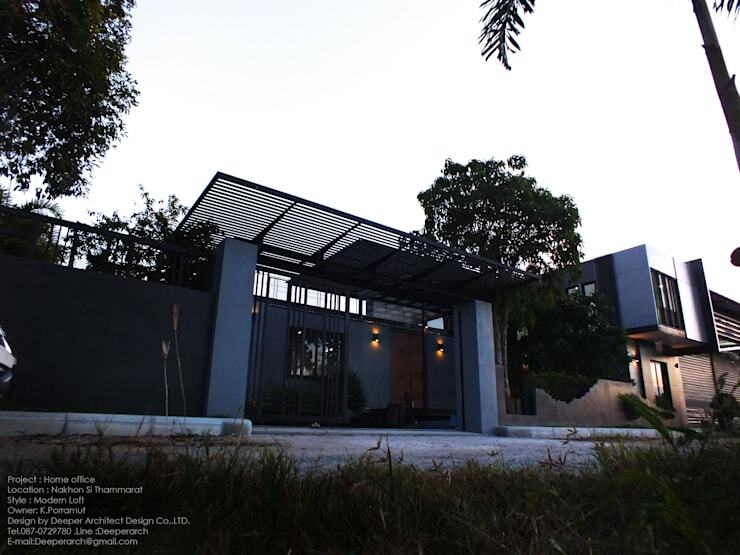 We present you a two-storey, box-shaped house in contemporary style as designed and decorated by DIPPER ARCHITECT DESIGN LTD., a team of architects from Phayao, Thailand. Our featured home emphasizes ‘modern design’ while taking into consideration the comfort and proximity to the natural surroundings. See a stunning loft design which you can get inspirations from! With a loft style decor, you can make the house look quite wide and airy. However, it is important to put into consideration the ‘areas of use’ as homeowners or family members can smoothly and freely adapt their areas to their needs. Take note of this deciding factor, just as similar to planning for building a factory or warehouse. Perhaps with a wide and spacious area, one can freely move furniture or any furnishings or choose where to place it to meet the needs or to liking of the family. Let's see this beautiful house! Modern style box house. The design is emphasized and decorated in dark gray tones. Using solid dark or neutral shades can give you a sleek and sophisticated look. 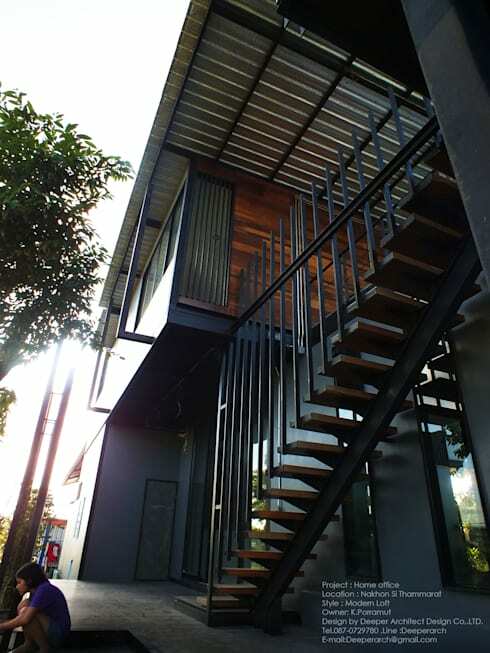 It is a two-storey house with a square shape form. Notice the large glass window that illuminates the outside of the interior, at the same time complements the façade of the house. There is also a loft on the second floor for more usable space. The entrance to the house was slightly elevated from the ground, while the stairs are welded up the ground leading to the front door. 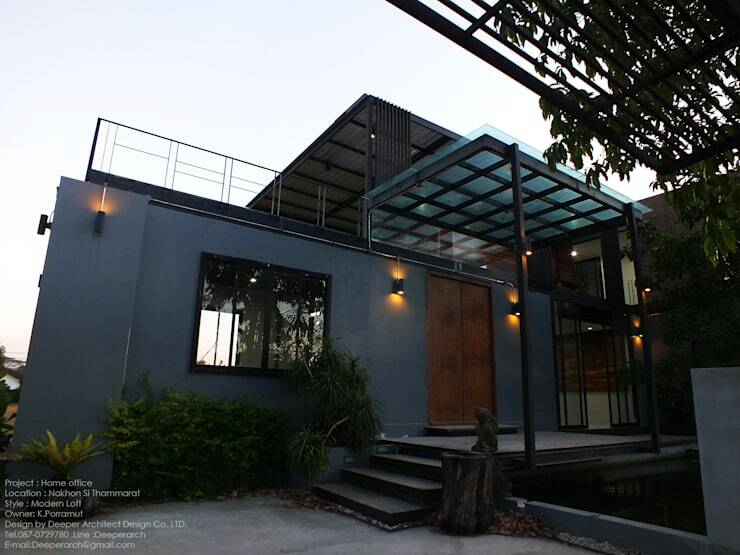 When viewed from outside, it is evident that even with its emphasis on design and modern style, the architect also made sure the house gets surrounded by nature with bushes and grass around. This adds to a pleasant atmosphere. Also, to accentuate the sleek, dark-toned exterior of the house, add small details like yellow shade lights; it can also brighten a little that particular area at night. The image shows the functionality of the ground floor area of the house. The coolness and airiness are emphasized by the front and rear glass panels. This matches the theme of the house which focuses on class and elegance. In the upper floor, the area is quite clear with lateral lattice battens. There is also the sunbathing roofing for your sunbathing or tanning needs. At night, it will be fun to have parties or gathering upstairs, under the stars! This is a classy landmark of Loft style home. The area having high ceilings is also highlighted. This not only makes the house look spacious but it also gives the house a different atmosphere than the typical home decorating styles. The staircase going to the upper floor is just fashionable! It is build outside the house, but still under the same eaves. Again, this highlights airiness, another area to experience the cool air as you go upstairs. 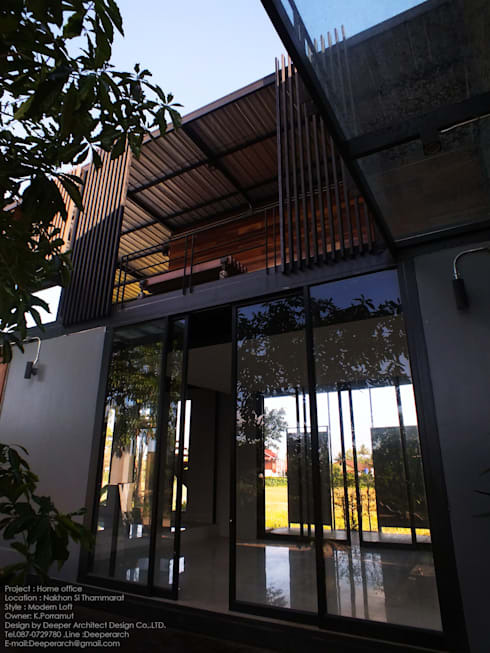 The material used is iron, which is strong, matches the style of the other parts of the house. Let’s check out more upstairs! Here is a cozy corner close to nature. With open air, you can bask in the fresh and windy atmosphere. The loft design is still consistent with the classy design as seen even on the lower level of the house. The use of steel rail in the balcony also sustained the the tone. And the strip around the balcony. 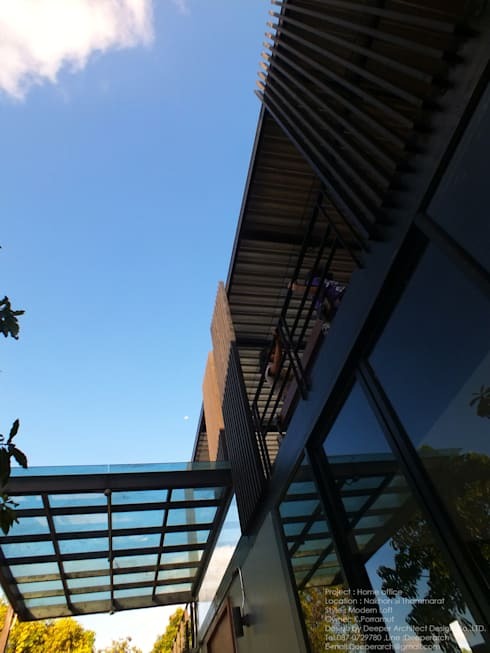 Catch a breathtaking view from the awning area as seen in front of the house entrance. 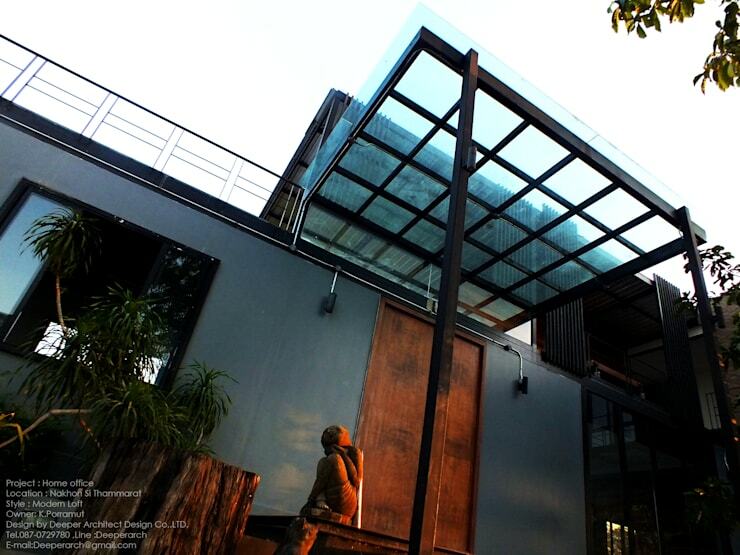 To preserve with the overall design, use clear glass as the main material, with fine iron in square grid. Also add a steel frame which provides a strong structure and beautiful look. It can also help to protect you from the sun and rain.